Baseball scouts are always looking for the next five-tool player, someone who can hit for average and power, has speed and can throw and field well. Ben Hackett displayed all of those skills as a standout baseball player for Triway and Walsh University. 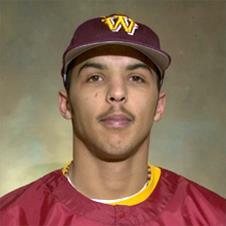 Hackett earned four letters as an outfielder for Walsh from 2000-03 and in addition to joining the Wayne County Sports Hall of Fame is in the Cavaliers’ Athletic Hall of Fame. He earned All-American Mideast Conference honors all four years in baseball. As a red-shirt freshman and sophomore, Hackett was a second-team All-AMC selection. His freshman year, he batted .383 with nine home runs, 45 RBIs and a .661 slugging percentage for Walsh’s AMC championship team in 2000. 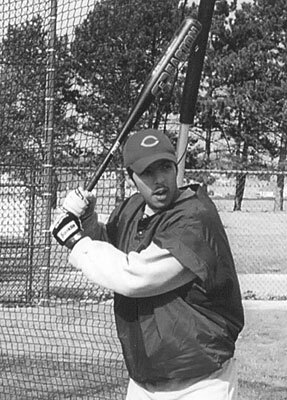 Hackett batted .311 and earned second-team Region IX honors in 2001 as a sophomore, while upping his numbers to .338 with 13 homers and 39 RBIs as a junior. The athletic centerfielder saved his best for last as a senior when he hit .389 and became Walsh’s all-time leader in hits (233), doubles (50) and runs (151) and is second in home runs (35). He was named first-team All-AMC and earned NAIA All-American honors. Hackett earned first-team All-Mohican Area conference honors in football, basketball and baseball at Triway in the late 1990s. He lettered all four years in baseball and basketball for the Titans and was MAC MVP in hoops as a senior in 1997-98. He The Daily Record area in scoring that season with 22.5 points a game for a 21-2 team and was a Div. II third-team All-Ohio honoree. As a senior in football, Hackett finished with just under 1,000 yards receiving for a 7-3 team. Hackett has the unique distinction of joining three coaches he played for at Triway in the Wayne County Sports Hall of Fame: Jeff Souers (football), Randy Montgomery (basketball) and Sean Carmichael (baseball). Hackett and his wife, Megan, have three sons: Jaxon (9), Jalen (5) and Anthony (3). He works at Panther Premium Logistics as a supervisor.